Our Southend office (based in Great Wakering) has a beautifully appointed Training Room available to hire and is perfect for meetings, seminars, product launches or training events. 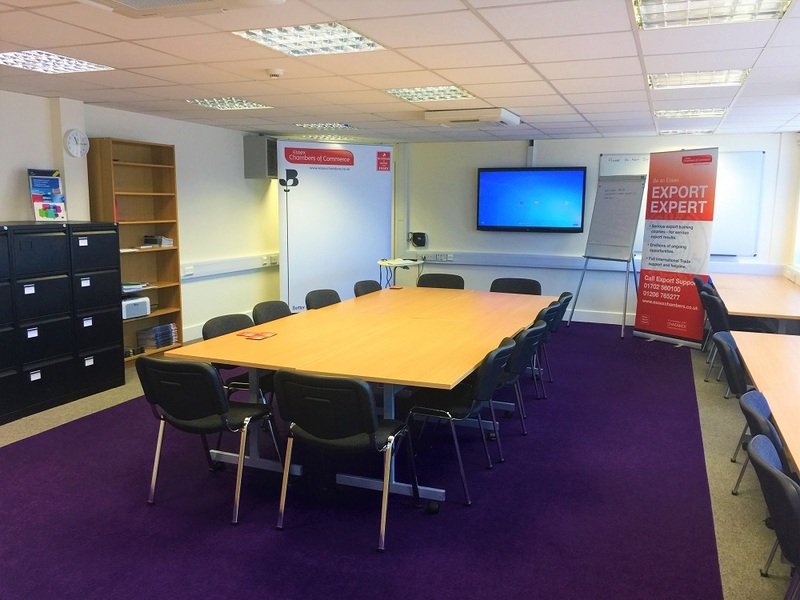 Fully equipped with plasma screen, PC, flipchart, air-conditioning and tea/coffee making facilities, the room can be set up in either classroom, boardroom or horseshoe style. Available to book from per hour, or for full or half days, our room provides a professional environment to do business in and is ideal for those who work from home, have mobile offices or are looking for an offsite venue. Your booking includes FREE Wi-Fi internet access and use of a flipchart and stationery (if required), use of our plasma screen and PC for presentations is also available for hire if required. For more information about our meeting venue, speak to us directly on 01702 560100 or use the Enquiry form below. To view our Terms and Conditions including cancellation policy, please CLICK HERE.